Tathāgatagarbha doctrine and the concept of buddha-nature continue to be of interest to academics, traditional scholars, and practitioners of Buddhism around the world, and a recent series of books, articles, and meetings have brought new energy and interesting information to light that requires continued discussion and analysis. 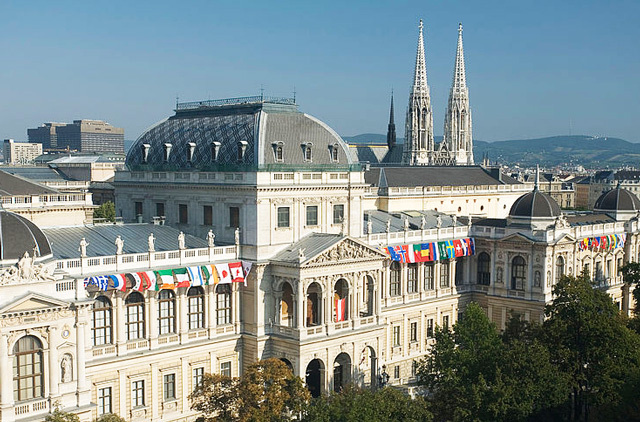 To that end, Tsadra Foundation will partner with the University of Vienna to host a symposium on the topic. The tathāgatagarbha doctrine, which proposes that all sentient beings are already a “buddha within,” or at least have the potential to attain buddhahood, was first largely ignored in Indian scholastic Buddhism, but increasingly attracted the attention of Mahāyāna scholars and became an important, if sometimes controversial, current of Buddhist thought throughout Central and East Asia. With the Mahāyāna goal of establishing all sentient beings in Buddhahood, the possibility of enlightenment became a Buddhist axiom of central importance. For example in terms of a buddha-nature (tathāgatagarbha), either one has to explain the causal process of its production or accept its primordial existence. The latter also applies, of course, when buddhahood is not taken to be produced from scratch. The way the process of becoming a buddha is addressed is an ideal touchstone for systematically comparing the philosophical hermeneutical positions of various masters in Central and East Asia. The diversity of views on buddha-nature has its roots already in early Indian Buddhism; depending on whether one follows the original intent of the Tathāgatagarbha sūtras, or the Yogācāra interpretation of the latter, buddha-nature can refer to either an already fully developed buddha, or the naturally present potential (prakṛtisthāgotra) or natural luminosity of mind, i.e., sentient beings’ ability to become buddhas. In Madhyamaka, buddha-nature was taken either as a teaching of provisional meaning (neyārtha) or simply a synonym of emptiness (i.e., a non-affirming negation). This symposium will look at the differing forms tathāgatagarbha doctrine assumed as its primary Indian scriptural sources were translated and transmitted throughout Central and East Asia and variously interpreted by religious schools in line with their key philosophical positions. Contributions will range from the historical-philological analysis of the primary sources to issues of reconstruction and comparison in the target languages and cultures with particular attention to the role the tathāgatagarbha doctrine played in the development of Buddhist philosophical and religious views in India and beyond. Keynote Speech: Donald S. Lopez, Jr.